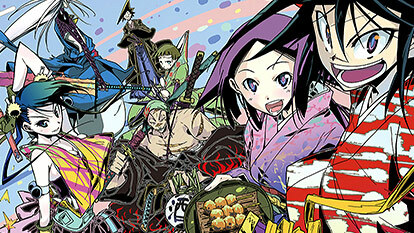 The action story is set in Edo-era Tokyo in the early 1700s. The eighth shogun Tokugawa Yoshimune ordered boxes to be installed so commoners can submit their thoughts. After hearing their voices, the shogun creates a new magistrate unit Mushibugyou to protect the people in the heart of the city. Each member is a specialist with unique fighting skills.